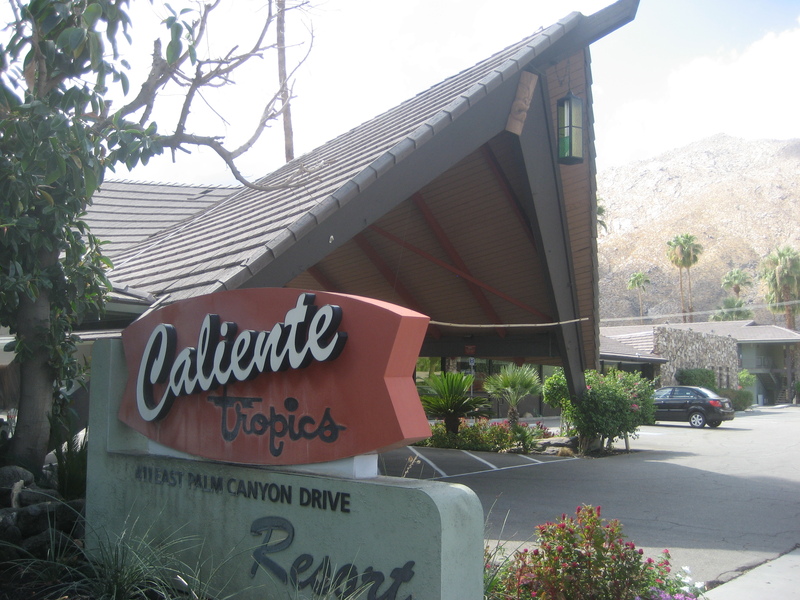 The Extravagant Stranger: New Paintings by Shag exhibition was held in the Congo room at the Caliente Tropics Hotel Palm Springs from 19:15 to 21:39 on May Saturday 14th 2016, as part of the Tiki Caliente weekend. 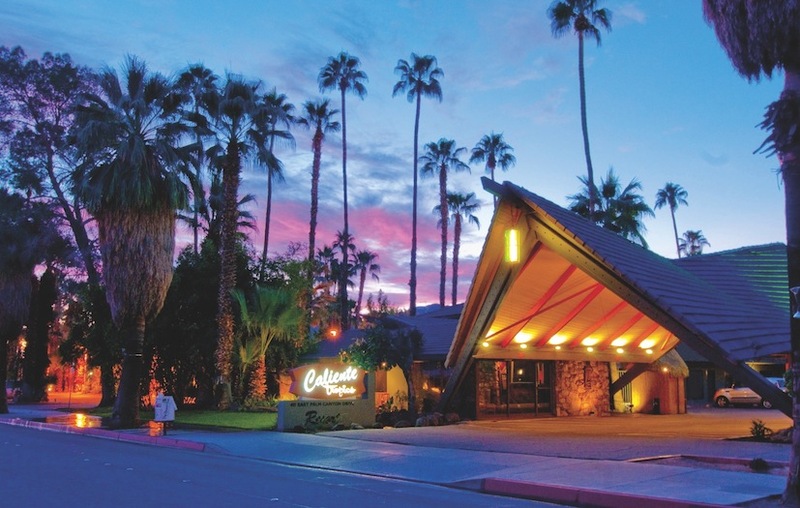 The exhibition was organized by Shag Store Palm Springs and featured eleven original paintings in addition to rare artist proofs of serigraph prints. 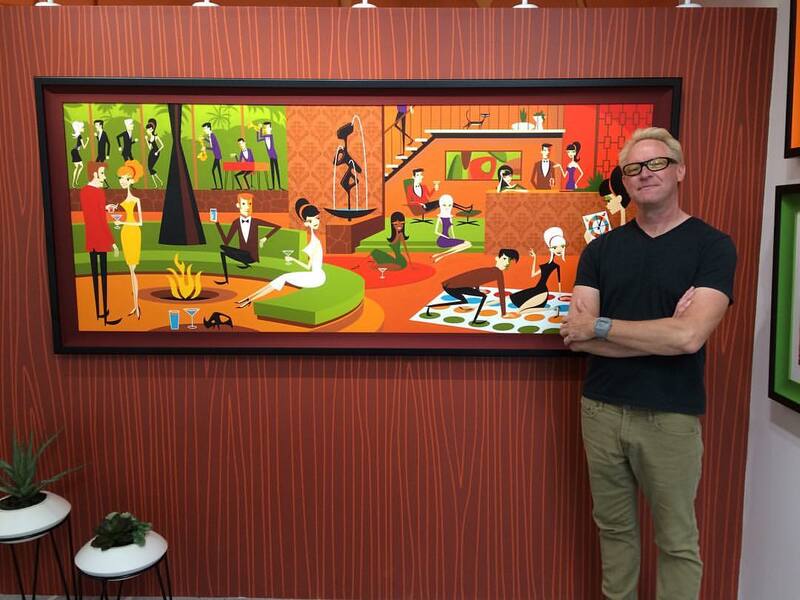 The huge original painting Trousdale Twist depicts an elegant cocktail part in the glamorous Trousdale Estates. 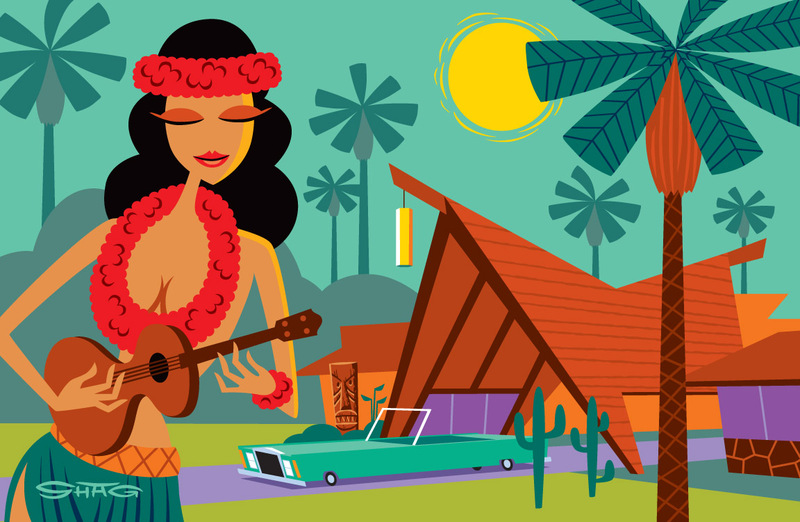 Purple Uke is an original 12″ by 9″ painting showing a blond leopard skin clad girl playing the ukulele in front of a giant tiki. The Green Lamp is an original 21″x 18″ painting showing the green tiki lamp from 2011. This painting was made into a limited edition mini giclée print as supplied with the green tiki pendant lamp. 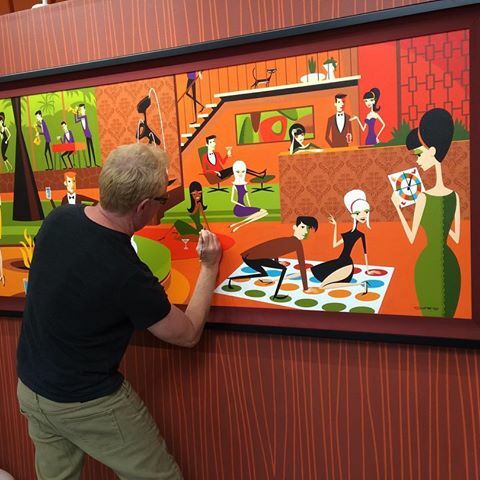 In the pictures below, Josh Agle touches up his huge original painting Trousdale Twist. 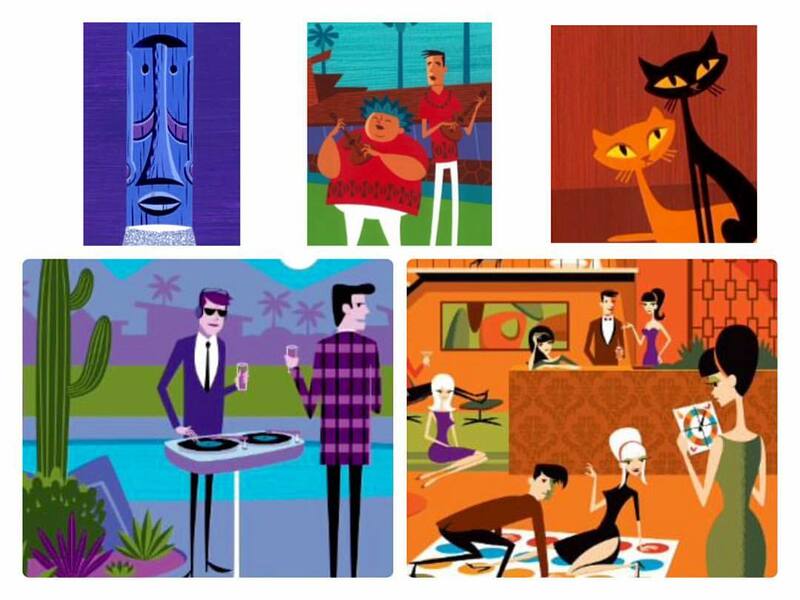 The exhibition also included the original paintings The Girl from Coachella (below left), Palm Springs Polynesia (below right), and the three Tiki pendant lamp set images (below). That is eight out of the eleven original paintings identified. If you have further information and photographs then please send me an e-mail and I will update this page, I need your help to complete the posting for this 2016 exhibition. For reference, the montage released for the event included other details from images that you may recognize (the two cats)?